ArticSoft products are built on Open Standards ensuring you are not locked into any propreitary technology. Having been built around the OpenPGP RFC 2440 standard you can communicate securely and successfully with the largest installed base of encryption users in the world without the high costs of implementing full scale PKI solutions and without any reduction of security. Our encryption technology is built around the OpenPGP standard published by the Internet Engineering Task Force (IETF) and known as RFC 2440. You can look it up at http://www.rfc-archive.org/getrfc.php?rfc=2440. Why did we choose RFC 2440 as against the host of standards for PKI? Well, part of that answer is actually in the question. If you look at the 'PKI' standards there are truly an enormous number of them. Far from being a single standard that any manufacturer can implement, they are a whole series of very complex, interconnected standards whose implementation specifications are so wide that almost no two implementations ever coincide. We have published several other papers on our web site about architectural difficulties that PKI faces in implementation, so it is not necessary to go through those points here. Frankly, it is difficult enough to get encryption to work at all without then trying to be clever about it. Most encryption systems have failed through poor quality of implementation (Dr. Brian Gladman, UK Ministry of Defence Procurement Executive). So we have aimed at the most widely implemented and most thoroughly tested encryption and digital signature service in the world. Why? Because you, the customer, want to be able to operate with the largest possible community of users available. And to do that with a standard that is already widely implemented and accepted by financial institutions, governments, the academe and industry. That does not mean that we have not introduced refinements of our own. We have made many operations simpler for the user, created more natural views of what they want to achieve, automated what goes on so that it is more seamless without sacrificing the actual security delivered to the user or to the enterprise. We have taken a fresh look at how public key based technologies can be implemented that align more closely to business processes and practices - in other words they make sense to the users, and they can see and understand what we're doing. So that's the ArticSoft technology. We have taken existing open standards, proved that we interoperate with them, and then taken them to a higher level. We have increased the functionality available. We have derived novel and innovative ideas for implementation that do not disturb the standards. So our customers get improved ROI and can be completely confident that their business partners can still process secure information, even if their partners aren't getting the added benefits from using our solutions. The mail will get through! Now some people seem to find these ideas revolutionary. The idea that security can actually be simple does not agree with folk who want to sell expensive solutions with high cost professional services attached. But that is freedom of choice. 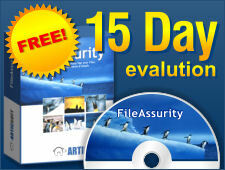 ArticSoft technology achieves security, ease of use and enhanced ROI in the same package. See also ArticSoft technology and PKI.